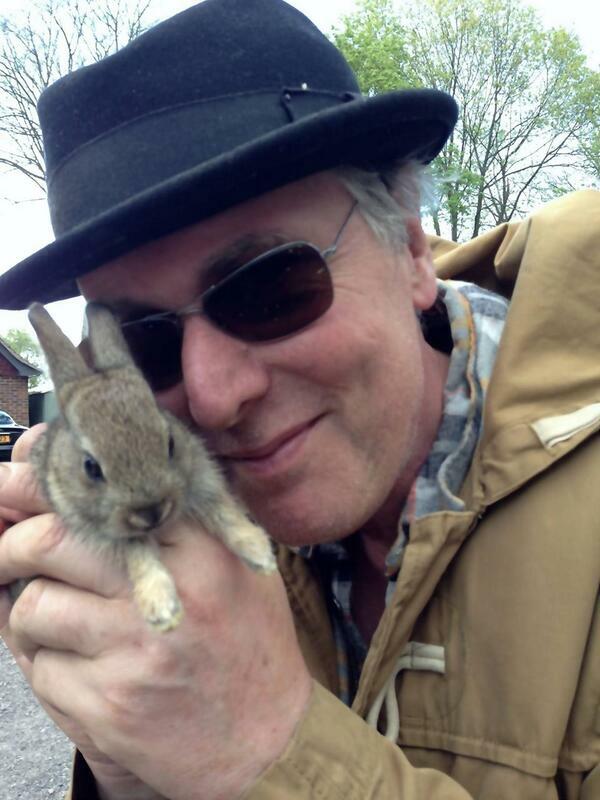 Tim Pope Twit-post thingy: ''I am doing a 2 hour radio show from new Radio Soho on Tuesday. Doing it with Simone Butler, bass player of Primal Scream. More coming soon"
Tim put this little gem on his website. Enjoy! Is it safe to upload this? It was on tv but, it's not an official release is it? I think because it has official vids in it it might not be ok but steve is the best person to answer that. I didn't even get to see the whole thing before he took the dang thing off! I recorded it off the tele also - it was on a couple of weeks ago. Ok, I shall ask Steven - if he says no, I'm saying it was your idea. I'm calling it a documentary. If anyone from the band objects, please send me a PM & I'll take care of it. I'll do it tomorrow, too comfy now ... .. .
Actually, just takes a minute as there's no need to ad images and MediaInfo, so will do it now. From Tim Pope's Twitter feed. Awwww I want to hug both of them! Ouh well yes...the same old song ... what about something really new? Like 'The Cure In Lime 2013 Live' dvd release?! Probably nothing as it came after his tweet about finishing off his film for king of the yawns, Neil Young. Is Tim Pope Arsene Wenger in dusguise?! Same response to THAT question!